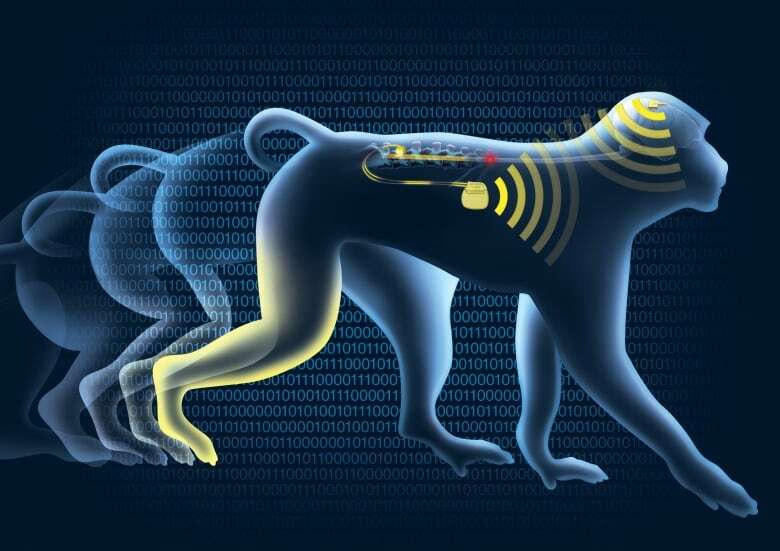 In a breakthrough that could have implications for people with spinal injuries, a primate regained control of a paralyzed limb with the help of a brain implant that wirelessly restored communication between its brain and spinal cord. "This is the first time that you have a connection between the brain and the spinal cord that re-established movements," the study's leader, Grégoire Courtine, a neuroscientist at the École Polytechnique Federale de Lausanne (EPFL) in Switzerland, told CBC News. The findings from EPFL in collaboration with Medtronic, Brown University and Fraunhofer ICT-IMM, were published Wednesday in the journal Nature. Scientists have used wireless implants to restore movements before, but in those cases, serious hardware like a prosthetic limb or a mechanical exoskeleton was required. This new brain-spine interface, on the other hand, uses two surgical implants to wirelessly relay information with no cumbersome technology. When the nervous system is fully functioning, a region of the brain called the motor cortex sends signals — think of them as instructions — that travel down the spine until they reach a neural network in the lumbar region. Those neurons then read the instructions and activate muscles in the legs to produce walking movements. A spinal cord injury stops the signal from reaching its destination. 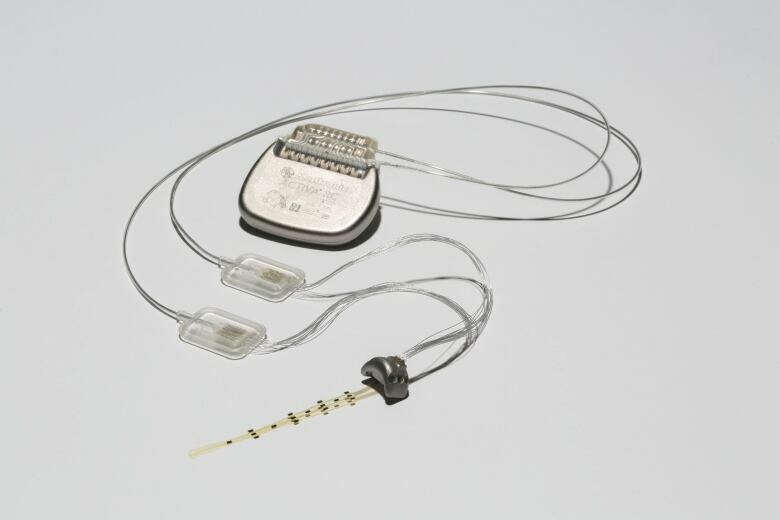 But with the interface, the implant picks up the brain activity, sends it to a computer that decodes the signals, and relays those walking instructions to a spinal cord stimulator embedded in the lumbar region. "The link between the decoding of the brain and the stimulation of the spinal cord — to make this communication exist — is completely new," neurosurgeon Jocelyne Bloch of the Lausanne University Hospital, who surgically affixed the implants, said in a release. "For the first time, I can imagine a completely paralyzed patient able to move their legs through this brain-spine interface." There has yet to be human testing of the interface, and it's not clear whether it would work on people with severe spinal cord damage. The monkey in the study had a small lesion and would have eventually regained its motor functions on its own. "You need to be realistic," Courtine said. "We don't imagine that tomorrow there will be paralyzed people who will walk in the streets with a brain-spine interface. We are not there yet." In the meantime, Courtine says the technology can have practical applications for rehabilitating injured patients. Usually with physical therapy, a patient has to re-learn how to walk. In this study, the monkey was able to move with a natural fluidity right away. "The key is there's no rehabilitation; there's no training on the animal," Courtine said. A feasibility study already under way evaluates the therapeutic potential of the spinal cord stimulation technology, without the brain implant, to improve walking in people with partial spinal cord injuries.